These bikes have been introduced to ensure timely health assistance in traffic-congested areas and small lanes. 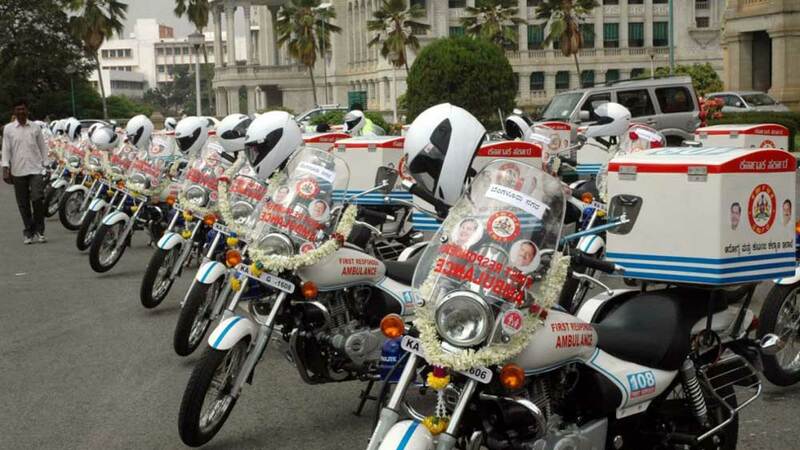 The Delhi government has launched bike ambulance services, known as the First Responder Vehicles. These bikes have been introduced to ensure timely health assistance in traffic-congested areas and small lanes. The First Responder Vehicles will have a portable oxygen cylinder, first aid kit and dressing materials, air-splints, GPS and communication device, among others. With the launch, the ambulance response time in congested areas and J.J. clusters in East Delhi (East, North East and Shahdara) will be reduced. Arvind Kejriwal, Chief Minister of Delhi, introduced the fleet of 16 bikes at Delhi Secretariat along with Health Minister Satyendar Jain. Kejriwal said, "Today we have taken a big step for the people of Delhi. Till now only big vehicles were available for ambulance services, now these bike ambulances will be able to reach narrow bylanes to provide immediate medical care for people residing there."